Sudeley Castle is a unique wedding venue situated in the Cotswold Hills near Winchcombe, Gloucestershire. The castle is rich in history and set in 1200 acres of grounds including a chapel, award winning gardens with romantic ruins, providing beautiful settings for wedding photography. Sudeley Castle is one of only a few wedding venues in Gloucestershire that have the option of an outdoor wedding ceremony. The Castle, home to Lord and Lady Ashcombe and the Dent Brocklehurst Family, has been described as ‘the most romantic Castle in England’. Similar wedding venues nearby: Eastnor castle, Berkeley Castle, Clearwell Castle. Sudeley Castle is a wow factor venue, it’s partly still standing and partly crumbled down! Inside the castle there are a few options for your wedding day, including use of the upstairs rooms or the main wedding breakfast room adjacent to the dance floor downstairs. It’s certainly good for winter weddings with a real feel of cosiness for a Castle. The grounds are extensive with many opportunities for great wedding photos. You can also have a marquee in the grounds rather than using the main building itself…..possibly best suited to a summer wedding. 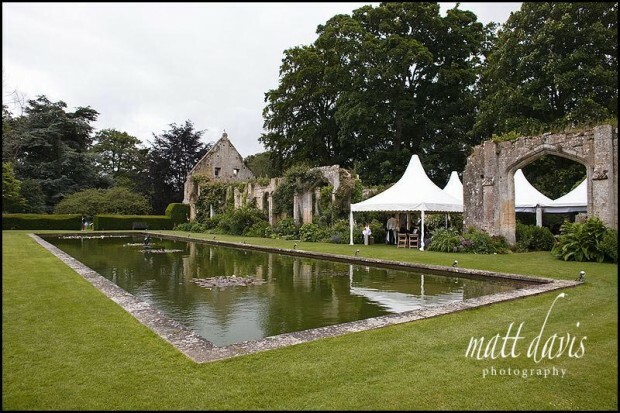 In 2012, Sudeley Castle started allowing outdoor wedding ceremonies in The Tithe Barn. It’s part ruin and part remaining structure, and has a real romantic charm to it. Set around the pond across the far side of the gardens, this ceremony option means you get to enjoy far more of the outdoor space on offer too. If you’re considering a Church wedding then Sudeley Castle has a chapel on site which perfectly complements the day. Alternatively you can also use near by St Peter’s Church in Winchcombe. 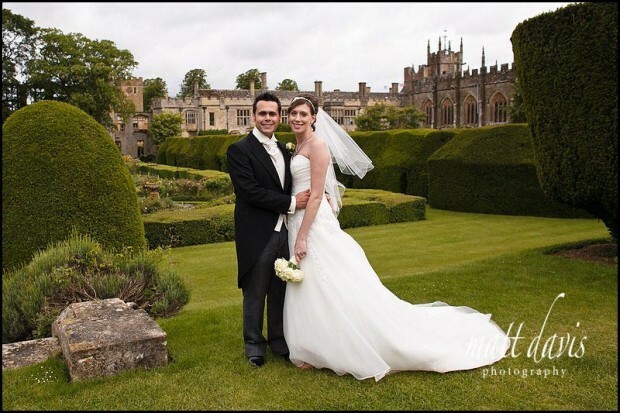 Please use this link if you wish to see more Sudeley Castle wedding photos from my blog. 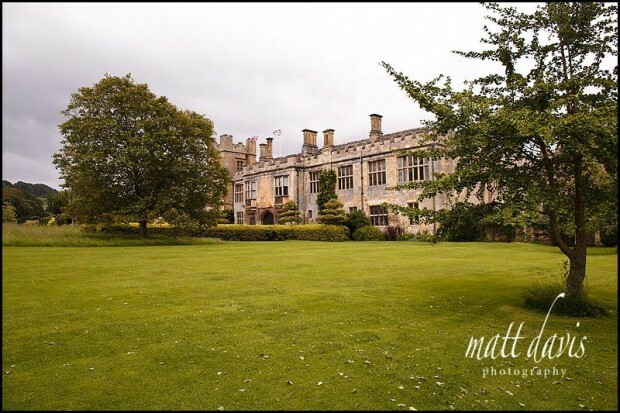 If you are considering a wedding at Sudeley Castle then contact me for a chat about your photography needs.